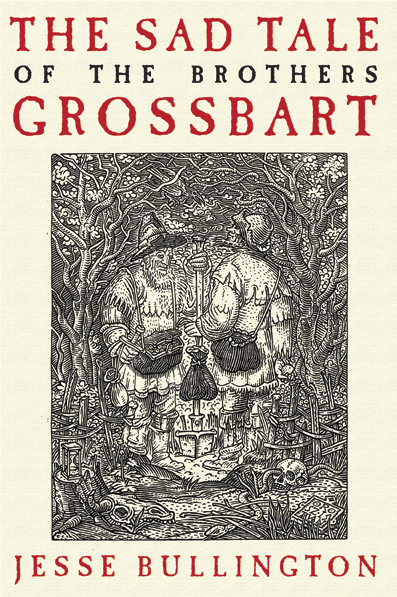 The Sad Tale of the Brothers Grossbart had one of my all-time favorite Orbit covers, and I was thrilled to work with Keith Hayes from the Little Brown Art dept. and the illustrator Istvan Orosz on the design. So when I saw that a new Jesse Bullington book was on this list I was really excited at the challenge — and really curious to see where Bullington would go after his violent, revolting, sensibility-offending debut novel (and I mean that all in a good way!) 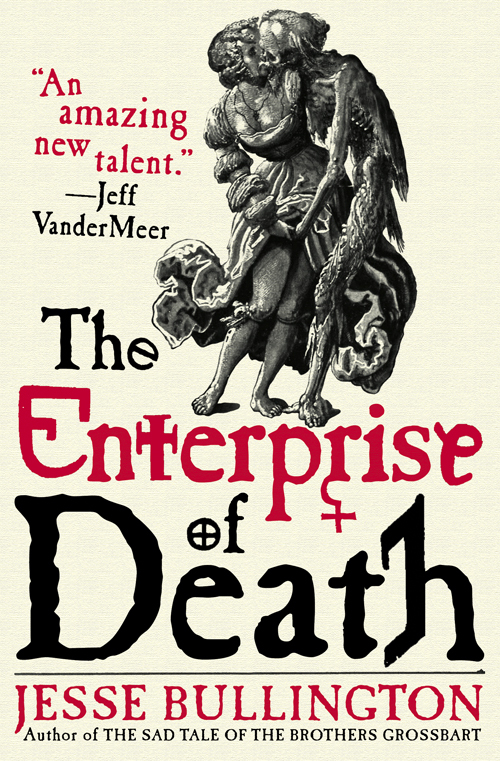 Well, let’s just say The Enterprise of Death does not disappoint on any count — you’ll either love this book, or you’ll want to burn it at the stake. Like Brothers Grossbart, the story takes place in a specific historical place and time — this time during the height of the Inquisition and Moorish expulsion from Spain in the late 1400s. Not only are there real-life historical characters in the story, there’s also real-life art that’s critical to the story. That’s actually a challenge for a cover designer. Sometimes when you use fine art on a cover it can give the design a very quiet, even static feel. Luckily for me, I don’t think anyone would call Death and the Maiden by Niklaus Manuel Deustch quiet or static. There’s an artistic tradition, especially prevalent in the Black Plague years in Europe, of Death and the Maiden motifs, along with Dance of Death and Memento Mori motifs. I’ve always been a fan of the philosophy behind these motifs — kind of a “party now because death is right around the corner” attitude. (Creative Director Disclosure: I have a modern memento mori tattooed on my wrist, in the form of a Mike Mignola crowned skull.) It’s just pure cover design luck that the art written into the story was not only really cool and dark and fitting to the story, but also that it fit into the already-established look of the author. It is a little shocking, but let me tell you, that is exactly the right description for The Enterprise of Death by Jesse Bullington. Enterprise will be printed on the same cool manuscript-feeling textured paper as Brothers Grossbart, which you can’t really see online, but trust me, it’s a cool effect. If you’ve already picked up Brothers Grossbart you know what I am talking about. If you haven’t, well, then, you should.